500 kW Biomass thermal power plant in Golden Bahia Hotel in Tossa de Mar. DESCRIPTION: The thermal power plant is located in an a reformed warehouse, with a single boiler of 500 kW, an estimated annual production is 1.19 million kWh. 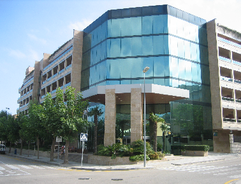 New facilities will save 597,000 € approximately in 10 years. 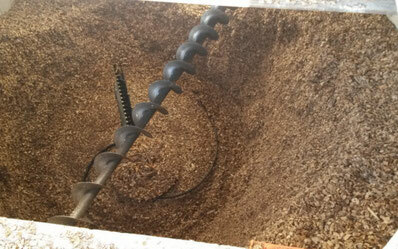 500 kW Biomass thermal power plant in Saliecho Hotel in Formigal. DESCRIPTION: The thermal power plant is located in a new building next to the hotel. 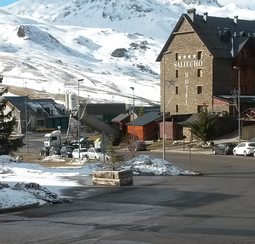 Saliecho Hotel is in the heart of the Pyrenees, next to Formigal ski station. A new silo has been built in concrete an placed in the underground. The system is made up of a single boiler of 500 kW. Estimated annual production is 923 million kWh. New facilities will save 501,350 € approximately in 10 years.